If you want an internship, go to the career fair. A sizable number of people think they shouldn’t attend career fairs because they think they have no chance of landing an interview. Unless you have a medical condition, I think that anyone with the will can benefit from attending. After all, career fairs are a terrific place to find rare opportunities. Here are a few things I’ve heard students say about why they don’t want to go to the career fair. All of these are myths, and I’ll explain why. Personally, I’ve seen dozens of freshman land internships with companies ranging from startups to Google. Even first semester students have received offers. Create some personal projects (perhaps at a hackathon), and put them on your resume. If you’ve taken programming courses, you can talk about what you’ve learned in class. And if you don’t have any experience at career fairs, it’s especially important that you go. How else will you learn how to network with professionals? That’s great! But you can still attend the career fair to talk with recruiters. You can also build relationships for next year. Wrong! Most recruiters at a career fair take paper resumes. Plus, a conversation in real life gives HR a better picture of your talents than a dull PDF. First of all, GPA probably matters less than you think. If your grades could use improvement, don’t list your average on your resume. Instead, highlight the awesome programs you’ve developed. Unless you’re a hermit living in the wilderness, your job will almost certainly involve talking with other people. Try to think of a job that involves no communication whatsoever (if you can, let me know in the comments). Talking to other people is a part of life that no one can avoid, so you might as well start practicing now. Out of the dozens of companies attending the fair, there’s not a single one that interests you in the slightest? Try talking to a few company representatives at the fair. If you’re still not interested, that’s fine. But you may find out a seemingly boring industry is more exciting than you thought. And even if you don’t accept an offer from a particular company, you can still practice interviewing. Remember to prepare for the career fair in the weeks leading up to the event. And if you have experience with career fairs and internship hunting, help other students and encourage them to go. 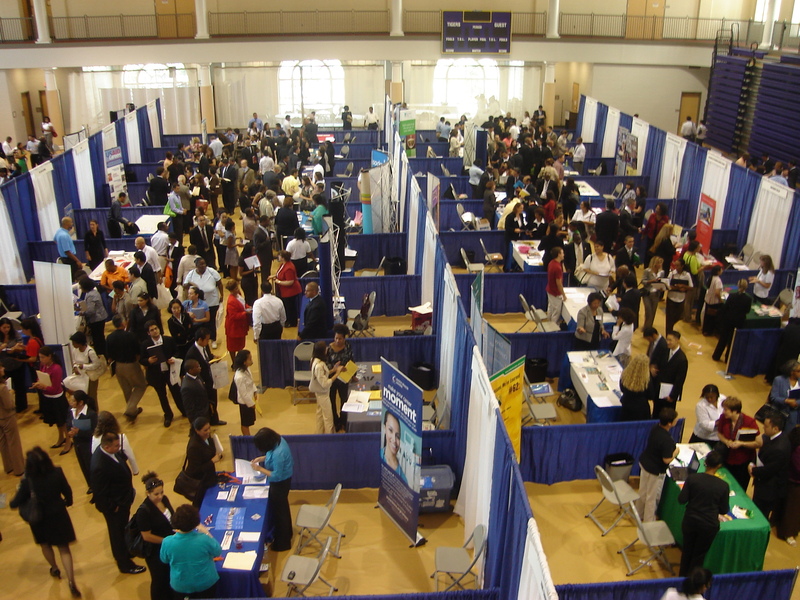 Are there other myths that students believe about career fairs? This entry was posted in CS Internship Guide, Software and tagged career, career fair, internship, job, soft skills. Bookmark the permalink.